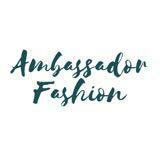 For More Products and Deals Like and Follow our Facebook Page: https://m.facebook.com/AmbassadorFashionStore Description: Show off your chic style in this embroidered sweater. Features: Stand collar is stylish and well-designed. Well-made and well-cut cuffs. Beautiful embroidery presents a vintage style. Dress Collocation: Style it with the jeans and the sneakers. Warm Tips: Wash separately. Use a gentle, bleach-free detergent. Avoid over washing, do not scrub it hard and prevent sharp things and overexposure. Type: Pullovers Material: Acrylic Sleeve Length: Full Collar: Stand-Up Collar Style: Fashion Elasticity: Micro-elastic Weight: 0.394 kg Package Contents: 1 x Sweater Please Note: Due to possible physical differences between different monitors (e.g. models, settings, color gamut, panel type, screen glare, etc), the product photography is illustrative only and may not precisely reflect the actual color of the item received. Style and Fit Disclaimer: We can guarantee that the overall style displayed in the photography is accurate, however there may be differences in how the style appears during wear. This depends on other physical variables, e.g. personal body size, body shape, limb proportion, height, etc. Instruction: There may be 1 - 3cm differ due to manual measurement. Please choose the right one according to your actual situation.